RYSE exists because young people of color envisioned it. They called on adults to listen, invest, and rethink young people’s place in the city. Their art enlivens the streets and their ideas shape local policies, leading toward a Richmond and West Contra Costa where their stories can thrive. Now RYSE is deepening our roots and raising up a new structure to better hold and amplify youth voice: RYSE Commons. Renovating our existing center into a 37,000+ square foot campus will expand youth program and partnership space by 225%. Over the next 18 months, we need to raise $6.9 million for the new campus construction, design, and implementation. It will require bold and beloved supporters to bring this vision to life.. The campaign to raise these funds will be led by love - our love of this city, of the possibility the future holds, and of the youth who hold that future in their hands. Young people are Rysing for Richmond. Will you RYSE with them? What youth-driven components will RYSE Commons include? Donate below to support the vision for RYSE Commons. If you would prefer to mail us a contribution, please send a check payable to RYSE Center to: RYSE Center, ATTN: RYSE Commons, 205 41st Street, Richmond, CA 94805. Years of collaboration, persistence, and strategic effort have led to this moment, and we look forward to sharing our progress with you. Please contact RYSE if you have any questions. 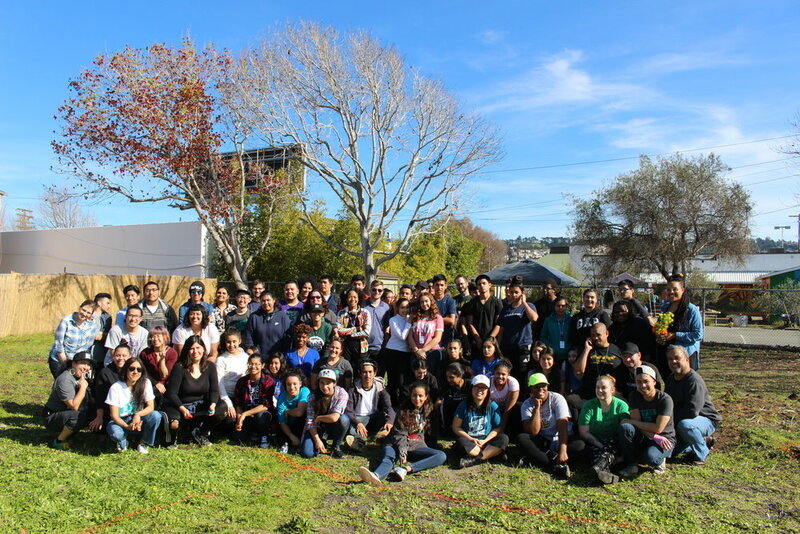 PICTURED: RYSE staff and local youth at a workday on the RYSE Commons property. We are thrilled to introduce you to our Capital Campaign Committee members. Read more about their work, and watch these videos from community members on why they’re rysing for Richmond, RYSE Center, and the RYSE Commons expansion. PLUS: learn what RYSE has been up to this November. Self-determination is rooted in place, led by those who know best what is needed in their lives. Let’s dream it into reality: RYSE Commons, a sanctuary in which the next generation can thrive. A huge thank you to our early Groundbreakers for RYSE Commons! We're extending the opportunity to become a Groundbreaker—donate $50 or more by April 14th and be acknowledged on the new campus. PS: Join us at our annual "Be A Kid" fundraiser on April 27th, and get an exclusive look at RYSE Commons.